"Easy, fun to use, informative"
I like having the ability to customize emails on the fly, and being able to send it to certain lists. I love having the ability to see which emails bounced, and that the software automatically filters them to a list so they won't get an email message again. I like the weekly email stats and being able to draft and schedule emails in advance. Contact management features are kind of broken. Constant Contact emails sometimes end up as spam in certain users inboxes. Web interface could use some fine tuning and an update. Try to attend a local training class to get a more in depth view into the feature set. There are a lot of hidden features that are available and not widely known to the public. Sharing new product features with our customers. Sharing important personnel additions or changes. The ability to inform our customers that our offices will be closed on certain holidays. The ability to inform our customers and prospects when our sales team will be at certain trade events. "Promote your company or business easily with Constant Contact." It is one of the best marketing tools today, it allows you to reach thousands of potential customers quickly and effectively through mass email campaigns. Constant Contact has many templates with really cool designs that facilitate the creation of marketing campaigns, so we can easily select some of the templates and customize it. This system has a great reputation worldwide, is used by small and large companies around the world, it is very safe and effective with a good anti-spam policy. We can easily measure the results of our campaigns with the option of reporting verifying the percentages and number of clicks made by users, we can also see the percentages of opening and rebounds to have control over our campaigns and improve our strategy. One of its biggest advantages is the ease to segment our subscriber lists, it allows us to create different lists of contacts easily and quickly. Maybe the support through telephone calls is not so good, there are few technicians who speak Spanish and in some occasions I have had to wait a long time to be attended. It's simply great, it's worth the investment because if you perform appropriate campaigns you can get the profitability you expect. It is the most effective marketing tool we use in our company, it has easily allowed us to reach many customers. "Complete and simple email marketing system." Constant Contact is in my opinion the best online system to create effective email marketing campaigns, it is a very easy to use system because its interface is simple, clean and intuitive. With Constant Contact we can create email marketing campaigns in a very easy way, the system gives us options to guide us in an appropriate way, it also has templates with attractive designs that we can edit and adapt. It is very easy to segment our subscriber lists to direct our campaigns to different target audiences, we can also analyze the statistics of our campaigns easily and verify the percentages of openings, bounces and clicks. Constant Contact makes it easier for us to increase our contact lists because we can incorporate forms on our website that allow us to add subscribers. I have done very well with this system and I have no complaints about it, maybe it is a bit expensive but it depends directly on our list of subscribers. It is a great system that can be used in any company regardless of its size, it is very effective and simple to use and its price is acceptable compared to other similar systems. It has helped me to add more subscribers and customers and our company is becoming more known thanks to constant contact. "Not likely to recommend for people like me"
It is easy to set up and use. You can send some basic style emails which is good for small business or if your business is selling a service. They do have an intergration with link shopify product data into the emails which is a plus. They have an intergation with eventbrite which is pretty useful for sending out and colllecting payments for several events that we hold. Lack of complete automation and customization. The templates are very basic and outdated. Not too many intergrations. For some reasons mailchimps seems to be more intergrated with other apps than constant contact. If you want more of a workflow automation then you should look somewhere else. "Easy to Navigate and Beautiful Designs!" We love the themes and design options that are available and the ease of navigation when adding contacts, creating emails and searching for content. We've used other emailing platforms and given the user-friendly interface and clean, simple designs, Constant Contact is our favorite. Members that sign up will often see their first email end up in spam, so much so that we notify them that this is initially the case. We also wish there were script fonts available for use that can be utilized without coding. We know this is an issue with most email platforms, but it would be fantastic to have more versatility in this area. We've seen exceptional open rates and results for the business given the professional look that the emails display. We are also very pleased with the insights we are able to gather from our email marketing. Businesses continue to comment on the value they feel they get through these emails. "Constant Contact is a great resource for the nonprofit community"
At our nonprofit, we use Constant Contact to reach out to our members multiple times a day. It's affordable and easy to use. Campaign reporting only goes back to the last 500 campaigns. When we do annual reports, we need numbers for back to the beginning of the year, and 500 campaigns is not enough. We have to export campaign reports once a quarter to make sure we have enough records. When we recommend Constant Contact to other organizations, we also recommend exporting reports on a frequent basis. Exporting to an Excel spreadsheet makes it easier to view the data and create more detailed reports. We send out twice daily newsletters on disability-related news. Constant Contact allows us to easily track who opens which newsletters, which allows us to see how well we are doing at serving our members. The list segmentation feature is very useful as well. We can segment users by which links they click, automatically assigning them to lists according to their location, interests, and other details. "Create effective Email Marketing campaigns with Constant Contact.!" Constant contact is a system for sending mass emails that is very stable, efficient and easy to use, it is also economical if we compare it with other similar systems. It is an online system, and we can use it from anywhere with an internet connection without installing additional software, its interface is very intuitive and allows users without experience to easily adapt to the work environment. What I like about this system is that the plans they offer conform to our contact list without restricting the number of shipments or campaigns we make, that is, we have unlimited emails. Create our campaigns is very simple, the system has templates with very good designs that we can easily customize and adapt, we can also segment our contact lists in a simple way and send to specific lists, another feature that I like is that we can perform an analysis of each campaign that we carry out and evaluate the percentage of clicks made, rebounds and openings and thus improve the management of the campaigns we create. If we remove contacts from our lists, we will not be able to reload them in the system, that is, they will be deleted permanently and this can be a problem if we delete contacts by mistake. I think they should improve the campaign search filter, currently it allows us to only search for campaigns by month and year and I would like that we could also find them by the name of the campaign, that would make searches easier. It is a very efficient and very easy to use system and it adapts to any type of business, and if used properly will help to increase sales and get new customers. It has helped me to publicize the company in which I work and the services we offer, and it has allowed me to reach more and more customers making our sales improve. "Thanks to Constant Contac now I am an expert in email marketing"
Constant Contact is very user friendly, and there are a lot of design and layout options to choose from. Easy to use creative freedom. Everyone I've sent emails to says they like getting them. I look forward to playing around a little more within Constant Contact to see what else is available to me. I have co-workers that have worked in it before to create graphics to email out to people and they tell me they also like that process. I only use it for the e-newsletter capabilities so I'm not super familiar for what else it offers, but I tend to realize that for me, keeping up with the contact lists can be difficult. I have also noticed sometimes if I want to design it a certain way, it won't let me put certain things where I need them to go. I've also had to fix some clickable images for links that probably took me longer than it should have. Would highly suggest this program as it offers a lot more than just email marketing. I'm getting to do something creative for me and my agency by creating newsletters in Constant Contact. It gives a personal touch. I've heard that people enjoy getting the e-newsletters I create, and I get emails from people asking to be on our email list. This gets the word out of our agency to more people that otherwise wouldn't have known about us! "Great for keeping leads warm"
I love the simplicity of constant contact. They offer just as much as I need to create a quick email campaign with only analytics that I care about. It's not super complicated with a million options I need to fill in, I create some templates and edit them depending on my campaign, super easy to segment lists or upload new contacts, a/b testing...everything I need. Not super customizable, not really any options for special coding but it's a saas that is more on a good beginning level. They do have options for you to customize with their help, and they will create templates etc. For you with their time and help which is fine with me. Seems like the mobile platform needs a little help but that's all I've noticed so far. Use this if you want to save money and be able to create a quick, repeatable email marketing process. Saving money while still having a professional platform to store leads, track history, leave notes, send reminders...we can have many successful campaigns going on at once. Our main benefit is not having to pay so much money to store over 5k contacts. List segmentation is perfect and email campaigns don't get so overly complicated with constant contact. It saves me tons of time. Constant Contact makes it easy to build and deploy professional-looking email campaigns. We use it to send emails for our e-commerce site. I'm the only one who has time to promote this, so it's up to me to create the email campaigns. I'm by no means a designer, but Constant Contact makes it easy for me to design nice looking emails that actually drive results. Constant Contact offers two awesome features: Subject line A/B testing and resending to non-openers. However, you can only select one option or the other for an email campaign. It would be great if both could be selected. However, I understand that they probably have their reasons for making it the way it is; I just haven't looked into it enough. If possible, I would recommend using the resend to non-openers feature. It has significantly improved the open and click rates of every campaign I've been able to use it on. We're actually able to market our supplies business to our customers without taking up the time of our graphic designer. Beforehand, we did not have the resources to create these campaigns because our designer was too inundated with other tasks. Because of Constant Contact, I'm able to create these campaigns on my own, and they have actually worked in driving revenue. 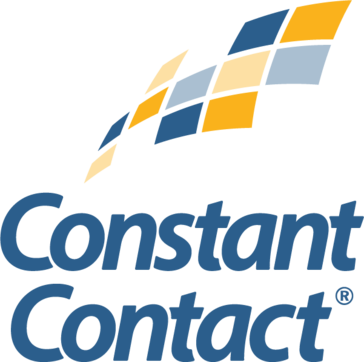 "An affordable system that can do the job"
Constant Contacts provides a nice variety of features that integrates with each other (like events and e-mails), and also allows for some integration with other tools like Wordpress. If you are a beginner it will be easy to use if you stick to your templates. They try to add more features that experts have been talking about for 5 years now. The list management features works well and you have plenty of space to store your images and db. The various and fun features are not all all the same. They seem to invest in e-mails (which is fine), but some other features are really outdated and still use the old interface. There is a lack of flexibility around what you can do, and it has been amplified by the new user interface that does not allow you to see the original HTML code. It can be a real pain if you copy paste stuff from any other place instead of typing it will mess up with the code and there will be trouble down the line. I would recommend to try it before buying if possible. Also, make sure to double check the features that could be in your opinion "given" so you don't have a surprise later on when you try to do X or Y, but can only do Z. Planning events using the event features, doing surveys with the survey feature, and obviously a lot of e-mails to different audience: partners, clients, prospects, etc. The people at Constant Contact send out helpful emails to keep you up to date on features and what's trending. Very helpful as a reminder to create something new and fun to send out. Easy to export lists to build contact lists on other platforms or for use in paid advertising. Easy to add a sign up button to Facebook and websites too as there are many plugins that offer support for this platform since it's so popular. Constant Contact is the big dog in the email game right now. I have tried the cheaper solutions too and they do some things well, however they do not offer everything in one place like Constant Contact does. If you feel it's too expensive, you're probably not using it effectively or maybe just not often enough. We reach out to contacts that we make at trade shows and expos. This software is helpful for sharing our blogs posts and other holiday greetings. "The best to do Email Marketing"
It is very easy to create very attractive and functional emails, in addition they can be programmed very easily. It is very convenient to place functionalities without having to enter html code. The reports and statistics are very complete. It is expensive, the truth is something that bothers me a lot because although it is a very robust platform, the price of Constant Contact is far above its competitors. I highly recommend this platform, it is the most complete in the market and it is very easy to use. I love how easy it is to create and manage contact lists, including importing from text or csv files. It is a very useful tool for all types of business, since Constant Contact allows you to create campaigns very quickly and without complications, it also allows you to track incorrect email addresses and automatically deletes them. "Simple Automated Email Marketing Tool"
You can't customize the form super well as it only offers a description box and some other basic fields and also a list that individuals can elect to be added on. Other than that there realy isn't another con I can think of. I use Constant Contact to create newsletters that I can distribute to my entire staff of 60+ employees twice a month as well as to send out updates/ announcements to our client base. I like that I'm able to upload our client list into Constant Contact automatically. I like how you can organize the contacts and using the 'build your own' feature to create the templates. I have been having trouble lately with the survey/poll feature of the templates. Whenever I create a survey or poll, sometimes the new one that I make doesn't get saved so the previous survey that I made gets put into my new newsletter. It was frustrating to deal with. I personally have used MailChimp before so using Constant Contact was an easy transition - the features are similar (although I feel that Constant Contact is an 'older' software; MailChimp is more 'young' and 'hip'). It was easy to learn how to use, and has many cool features that you'll want to play around with to find the right usage for your company. Constant Contact helps me to communicate to my entire staff of 60+ employees through a newsletter. It's great to use for staying in touch and keeping our community updated, as well as on the same page. "Making small potatoes look like a big tasty russet"
Constant contact is easy for the technically challenged. Great way to get started in the world of marketing. Beautiful, easy to use templates and great customer service. You can make a start-up look like a seasoned professional! I have used this for several years and it just keeps getting better. I especially like the addition of mobile templates. Occasionally there will be a glitch that knocks me off and I have to get back in. I wish there were not so many additional charges for Mobile site, events and library. This is a great way to step into the world of marketing if you are a beginner. Very easy. We are a small non-profit with limited resources and no paid staff. Yet, I just had another non-profit compliment us by saying they hoped they could someday afford the slick ads we run. I also had someone with advertising and marketing experience tell me she really like the way we market ourselves. I have ZERO professional experience! We really like registration software for events. Easy to share everything on Facebook and other social media sites. 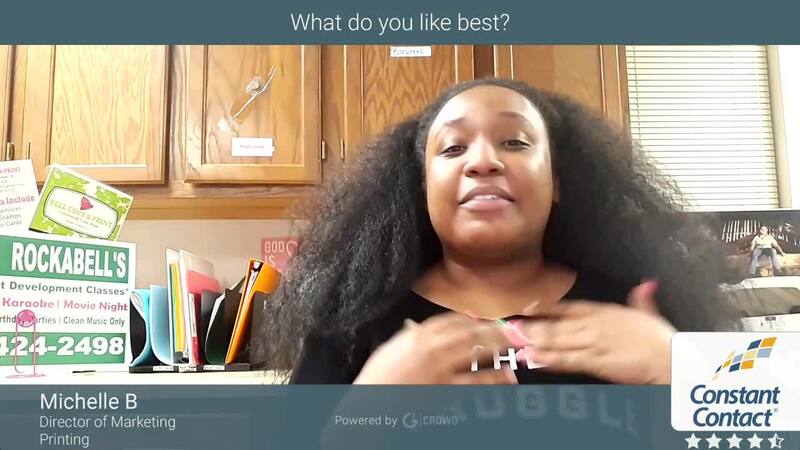 "Tool for basic e-mail marketing"
What I like the most about CC are the various types of campaigns or activities you can create and manage (events, e-mail campaigns, surveys etc.). The support folks are also helpful when you have a question or issue. I think the value for the price probably makes sense. Lack of flexibility with the design tools, especially with the new user interface (you can't edit in HTML anymore). "Improvements" made in one area will not necessarily reflect into another. E.g. better interface in e-mail campaign, but if you create an event, it's still the old look and feel. The statistics could be better presented and more detailed. The E-mail builder in WYSIWYG is a bit unstable and copy/pasting stuff from other program will mess with the design. In the earlier version it was possible to access the HTML editor, but with the new UI, we can't and I think it was great a advantage. If you want to go with this, please know that when building an e-mail campaign you should type the text directly in Constant Contact of copy/paste from a text editor such as Word pad. Copy/pasting from anywhere else will mess with the HTML behind the editor and you won't understand why because you don't have access to it in the most recent updates. Constant Contact is the leader in the spam-safe bulk email market for a reason. Their product is solidly positioned insofar as they provide plenty of elegant, usable templates, their Contact management is spot-on, and they make getting campaigns out the door dead-easy. I wish their free-level product was more competitive to MailChimp. As a web developer steering reluctant clients to mass-mail services for the first time, I face a lot of resistance from business owners who opt for the MailChimp free option over Constant Contact, even though CTCT offers tighter integrations on the backend that would make it easier for me to integrate in the long run. Constant Contact offers lots of integrations with a wide variety of other software packages ... so many, in fact, that it is possible to choose the wrong integration provider. Make sure you do your homework on any third-party service offering to integrate your Constant Contact mailing lists with user/account data from another vendor. Responsive customer support is key in ironing out integration wrinkles. I have integrated CTCT with ConnectWise Manage to allow our company to send out timely mass-emails for customer alerts and announcements with minimal effort. Constant Contact makes it easy to message our clients, regardless of the audience. It's easy to segment and even do A/B testing. You can use their templates or create your own easily. We have an in-house design team, so we typically create our own artwork, but I've also used their pre-built templates and been pleased. I also like the tracking functionality. It makes it easy to see our open and click-through rate. Sometimes you just want to send an email to one person, but you have to go through the process to add them to a list, making the task much longer than you'd like. Other than that, I find it to be a very good product. Great product, but I recommend reviewing all email marketing options. They all have their pros and cons, though Constant Contact is quite good. Constant Contact allows us to manage RSVPs through its easy response. "It is perfect to promote a product or service through email." It is a widely recognized service worldwide, so the emails that are sent are legitimate and do not reach the spam folder. It has an excellent customer service and has solved all the problems I have presented. It has multiple options to import contacts and has a great variety of templates that are very easy to configure. The only counter that I see to this software is its high price with respect to its competitors in the market but in return they offer 60 days of free trial. But it is really worth paying for this software given the large number of benefits it offers. I have had very good experiences with this software. It is very easy to create email marketing campaigns to promote products and services. Despite its high price, it pays to pay for this excellent platform. The technical support could not be better. In my company we are dedicated to the realization of web pages, web-based information systems, sales of electronic items and tourism. Constant Contact has been essential when promoting our products and services, obtaining great results in the flow of customers and sales gains. The results obtained have been very satisfactory. I really recommend it. "Simple, but could be improved "
I like that in Constant Contact it's easy to find campaigns and you can add a lot of content without it feeling like it's overwhelmed. The overall format of the software itself is navigable, which means that I can see what I want to do without having to jump through a bunch of online hoops to find my next step. Everything is out in the open making work related projects much easier and more efficient in terms of how my time is used. I don't like how when you copy and paste some of the formatting never works properly. For example when you copy and paste something from Word, it does not translate well in the campaign section. This makes it much harder for me to spend less time in the software (which is what I ultimately want - to save time doing more of my own job). Constant Contact is a good starting place. It's the only one I have ever using consistently, so I would recommend it for beginners who need email serves. We are solving email chain and newsletter issues by using Constant Contact. We have realized that by sending out a newsletter through Constant Contact, we can reach more people's needs than in just one email for each event we host at the Chamber of Commerce. It becomes easier to get information out in a quicker, more efficient process. Although the Chamber of Commerce is not a business, we are always looking to improve our methods and practices, and Constant Contact has helped organize our emails list serves in that way. I like that constant contact makes it easy to send emails and schedule them. They have basic layouts for you if you don't have a graphic designer, or you can input your own email designs and go from there. Plus, scheduling them is super easy as well. We make our own email templates and turn them into images to input into the email. However, whenever we do that we have to compress it a bit so the picture isn't as clear of a quality as we would like. Constant contact lets you list contacts under several lists. I like that because all our lists are very segmented. However, sometimes a contact is covered under two lists so we can contact them regarding both. Brand recognition. Constant contact helps us keep up our recognition. We have been able to consistently hit different target markets using email so we don't overload on specific market. "Constantly Promote your brand with Constant Contact"
I really don't have any dislikes with the software now that I am familiar with the product. Constant Contact is one of the keys to success for your business. If you are looking to stay in contact with your clients with a professional image, Constant Contact is your go-to tool. If you are not the creative type, their templates provide the marketing department for your business. For organizations, the ability to send out email blasts to your members is great. You are able to monitor your member engagement and follow-up if necessary. It's great watching who opens your email, how quickly they open the document, and determine the best way to engage your members via mobile/desktop. As a consultant, I am able to recommend strategies for my clients based on how their members engage. Brand recognition - the ability to present a professional message to my customer base. The benefit is that it keeps our name top of mind with our customers. Constant contact is great for creating email campaigns. You can setup dates and times to send the emails to your contacts. Another nice feature is you can sort your contacts into categories. This was extremely helpful for sending internal emails for events and having a list of contacts sorted specifically for that reason. The price. At $40/month constant contact is an expense that some small businesses may not be able to pay when there are alternative free options. Also, the templates were very generic and rarely updated. I fee like at that price point their template library should have been much larger. If you have it in your budget, definitely try it out if you’re looking for email marketing campaigns. We were able to reach all of our customers as well as separately email our 60 internal employees. "Great system to send email marketing campaigns ..!" Constant Contact is great, this system allows us to create very effective email marketing campaigns to increase sales and reach many potential customers. Its interface is very nice and intuitive, which allows us to quickly learn to use this system. Creating a campaign is very easy because the system has a great variety of templates and we can choose the one that best suits our idea and edit it easily. I like the simplicity with which we can segment our contacts, constant constact allows us to create different lists of contacts that we can easily select for sending email marketing campaigns. We can incorporate different files, images, audios, videos and animations to our campaigns, this system allows us to upload different types of files and use them when we need it. Constant contact has a very good reputation and is used by many companies, we can also integrate features with other systems like, wordpress, shopify, facebook, google among others ..! Constant contact also allows us to perform analyzes on our sent campaigns and verify the percentages of clicks made, bounces, openings etc. this helps us to constantly improve our shipping strategy. This system is great and I do not have much to say against, I just wish they could improve the search filter of email campaigns made previously, and include a search field that allows you to find campaigns related to the phrase name included in that field of search. It is a very effective tool to promote any type of product, company, project or idea. The investment will depend on our number of contacts, which is why I believe it is suitable for small, medium and large companies. This system has helped me to promote the company where I work, we have been able to reach many customers and increase our number of contacts and increase our sales. "Excellent platform to start your email marketing campaigns." It has hundreds of customizable templates very easily. This allows you to save money on designers. You can have the option of templates with high quality photos paying an extra low price. You can create answering machines and configure your delivery depending on certain established rules. It is a widely used service verified worldwide that allows your emails do not enter the spam tray. It has a very high price. The support for the user is a little deficient, they should improve the response time or improve the knowledge base with the most common problems of the users with their answers. Highly recommended this software. Despite its high price is a worthwhile tool for the simplicity of its use. Excellent. In my opinion it is a service that every entrepreneurial company should have, since it helps to create advertising campaigns through email marketing. You can have a list of subscribers to keep them updated on the products or advances of your company. It is very useful your statistics system to see the acceptance of your customers. It has incredible tools, an immense amount of high quality templates and a large storage capacity to be able to include a long list of subscribers by email. The free trial is the best because it has more than 60 days of fully functional use. You can get additional high-quality photos with $ 5 per month, a price that is too low to have a bank of images at your disposal, so it's worth paying for it. Allows you to configure the emails and schedule your output to your liking and whenever you want. You can easily import your list of emails from Excel, Gmail, Outlook, etc. The system notifies you of user cancellations and emails that are invalid. The price is expensive but its excellent system makes it worth paying for it. It has no app for mobile devices. The user interface is not very nice, it should be improved. I love this platform. 100% recommended. It is ideal for all medium-sized businesses that can afford the price for the service. It is a complete solution for email marketing that also has a large community of users who can provide us with any information about the use of this system. "Great to develop emial marketing campaigns." It is one of the best systems to create email marketing campaigns, we can choose between many templates with different designs that we can edit to create our campaign with a great style. Segmenting contacts is very easy, we can organize different lists according to our criteria and select them when we need to send the campaign. Your multimedia manager works very well, we can have a large variety of stored images and use them in any of the campaigns that we create, we can also measure the effectiveness of each shipment we make since the system has metrics that help analyze the results, we can see the percentages of opening, clicks and rebounds. I like this system a lot, maybe it's a bit expensive, but I think it's worth the investment. It is a great tool for any company, it is easy to use and excellent to promote products, services and companies in general through email marketing. Constant Contact has helped my company to make sales and reach much more customers, it is an excellent tool for any type of company, regardless of its size. "Constant Contact Has Made Some Major Improvements"
I really like their event registration integration. I think that it is a good system for keeping all of your contacts that register for an event organize. I appreciate that you can edit the individual registrations within constant contact rather than having to export to a spreadsheet. I don't really like their email builder. They have definitely made some major improvements however I still think it needs improvement when it comes to dropping in files. I would recommend it, we switched to mailchimp at one point because of their email layouts and ease of use. However, with Constant Contact's new changes they have kept up with mailchimp. I think they have a more professional feel than Mailchimp. We are solving our communication to both our congregation members as well as those that register for our sports events. I dislike how it's complicated to export into HTML template. Maybe it's possible? I just don't know how? Take a look at all of the CRM services before deciding. Each offers a little bit of variation in what features they are best at as well as pricing scales. Constant Contact seems to be the best for a business situation and in my case - Commercial Real Estate. We are able to reach all of our customers through an email blast. It creates an endless opportunity of leads and helps to stay in front of clients with a limited window of time. "Excellent Customer Service & Easy Format"
I like that I can design an entire email layout with simply tools and in a quick time frame. I like being able to schedule posts to go out and to have the emails automatically resend if the person does not open it after a period of time. I like the media and link storage available as well so I don't have to re-enter or upload items repeatedly. I would like some improvements on the reporting side, but that's just out of pure laziness on my part. Use the support team; they have helped me come up with solutions to issues regarding layout aesthetic I've wanted to achieve along with functionality. We send out weekly emails to our clients about travel deals to promote a variety of products. We also notify clients of changes within the company and of special events rsvp tracking. "Ideal to automate your email marketing campaigns"
It has hundreds of templates to not waste time when doing your campaign, there are of all topics. It allows to store a long list of subscribers and its use is really simple. The dashboard is extremely simple and functional, no unnecessary buttons that occupy so much space. It is very customizable especially if you have knowledge of HTML. It has an excellent systems of statistics and reports in real time. It lacks an android application, and in my opinion it's a big counter since not all the time I'm in the office and I need to do email campaigns at any time, so an android app would be great. The price is really high compared to its competitors. Contant Contact is a great way to stay in touch with your subscribers. Its email marketing platform offers an excellent interface, hundreds of high-quality templates and a learning center with many resources. It's so easy that you do not have to be reading extensive guides or watching long tutorials, the interface is very intuitive that you will master from the beginning. Constant Contact is an excellent option if you have a company dedicated to digital marketing or if you own a large products and subscribers store. My company is focused on digital marketing, we provide online advertising and marketing services and Contact Constant is the perfect tool for us. The statistics allow us to know how is the acceptance by our subscribers and helps us make business decisions correctly and efficiently. The ease of creating an email blast with simple widgets that can be customized more if need be. Also very strait forward on how to add contacts, and lists of contacts to the database. I like how they have an agency plan which helps deal with multiple clients in one account. I dislike that the entire email blasts cannot be exported to HTML from a simple in menu command. Take a look at all of the email vendors around before deciding. Each offers a little bit of variation in what features they are best at. Constant Contact seems to be the best for a business situation. They do a great job with working with advertising agencies that may have many clients all in one Constant Contact account. We are able to reach all of our customers through an email blast. Once a month we create a unique blog on our website and send an email blast replicating the blog to our database. I really like being able to monitor how many people are opening our e-mails and then how many people are also clicking through our e-mails. It helps us figure out what types of e-mails are most effective and what we keep doing in the future to make sure that we are reaching all of our tenants. I really just wish it was harder for people to unsubscribe from our e-mails. I get that there is probably a law behind how they do it, but a lot of our tenants don't realize that this is how we send out most of our information and they end up missing out on some important stuff. We are figuring out where our time can be well spent versus where we are wasting time. A lot of our promos just don't even get opened, so we have to find ways to reach them. It is really helpful to look back and see how many people actually read the e-mails we sent. "Gets the Job Done for the Everyday Marketer"
Constant Contact is easy to use, especially once you build templates into the site. You are ready to go as soon as you login. It's very exciting that you can also manage event responses right in the system. Sometimes the emails add extra line breaks unnecessarily. Also, the emails sometimes preview much different than they look in the editor. The fix is that you get a grasp on some general HTML coding so you can fix the issues as they arise but that may not be an acceptable answer for the everyday marketer who doesn't know code nor wants to learn. We are reaching our team members internally much more often, improving communication throughout our large organization. Overall communication improvement lends itself to overall culture improvement. "It does what we need it to, though not the most intuitive"
We have a huge email list that would be worthless if we did have constant contact to take advantage of it and help us communicate with current and potential customers. The reports are also crucial to monitoring how successful our spending on email campaigns or similar promotions are. I like the creation section where I can make my own newsletters. I like I can see who has opened anything, when, how many times and if they do not open anything. They have a double optin feature and I truly beieve they help me stay off the spam list. They also have leads and I may need to buy some in the very near future. I was on a server that was being used by a bunch of people. The owner was actually spamming the heck out of people. Anytime I would send an email, they would have to go to junk or spam to find it.I wanted something different. I had a concern regarding my organization's Constant Contact subscription. As a nonprofit, it is difficult to find time to contact all of the different vendors and providers we use. But not Constant Contact, I got in touch with a real person quickly and she efficiently helped resolve my questions and concerns. On top of everything, she was friendly, pleasant, and seemed like she truly enjoyed her job and helping customers. A rare quality! There was really nothing I disliked about Constant Contact. Constant Contact makes it easy to provide monthly newsletters to our donors and keep them up to date with what is going on at our organization and associated facility. Very user-friendly and TONS of options make me want to stay with Constant Contact. 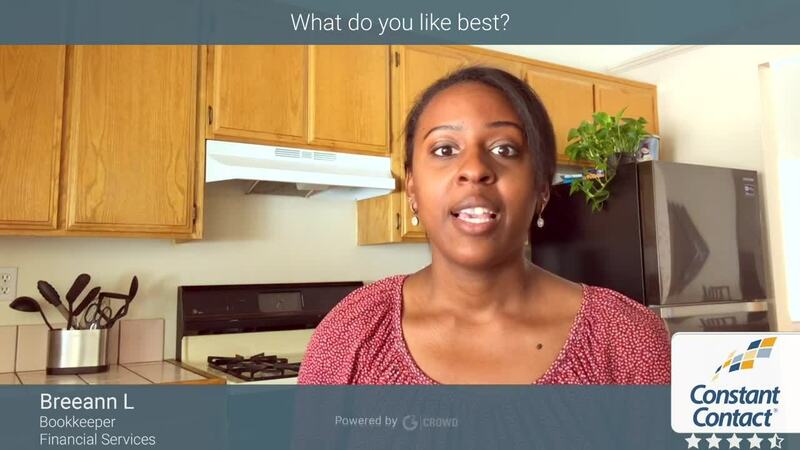 "Constant Contact, the One-Stop Solution for Local Business & Brands"
I like that I can add events, polls, coupons, and "text to join" our marketing campaigns. I also like the social media integration and widget for the website (event calendar for example.) The customer support is the best feature, by email, chat and you can even get a live person by phone! Also, you are assigned a Success Manager to help get you started with the best package, your first campaign as well as a customized templat to match the look and feel of yoru brand. There are also tons of articles and video tutorials to walk you through every task on the platform. $45 per month is not always an easy sell for clients with 500 contacts or less. Also, CC only allows for one Welcome Email, I would like a different one for each list if I choose. I would also like the Constant Contact branding to be more subtle on campaigns - their logo is prominent at the bottom of email campaigns for example..I would also like more control of header graphic on campaigns and sign up forms. Spend some time in the vast library of tutorials and help videos. This will ease the learning curve for using a new system. Maintaining and building relationships with subscribers. Staying relevant and top-of-, mind. Helping clients do the same. The landing pages have been a good feature for clients who choose to have a "brochure, informational only" style website. Also, the various lead capture options are effective - popup box can be timed or pop up on visitor exit. Of course, they have the traditional sign up box. "Constant Contact provides a robust email marketing solution"
Contant Contact has been a great solution for our organization. It provides us with a tremendous amount of customization options. The only thing that has ever disappointed me with Constant Contact is how their pricing changes midway though an annual prepaid contract. There is no price protection. When you prepay for a year I feel you should honor that commitment through the end of the term. Pricing changes mid-year even if you prepaid for the year. Beware that just because you paid for 12 months does not mean that you are going to get 12 months on your contract. We have had very good success using Constant Contact in our email marketing efforts. It has helped us out tremendously in the distribution of our quarterly newsletters. "The push towards plain text emails"
The template options allow for you to easily select a structure based on your needs. The click and drag features make it quick and easy to construct a campaign. More and more of my clients are moving towards plain text emails in order to not have to worry about images not showing in certain email inboxes and our open and click rates have increased since we started doing this. I would like it if CC had more templates for plain text based on the objectives. HubSpot offers plain text prewritten emails based on what your goals for the email are. For structured image based emails this offers a lot of templates that are easy to customize. I run email marketing campaigns for various clients. Some are monthly newsletters, while others are based on upcoming news, specials, etc. "Simple Integration with MindBody Software"
I like Constant Contacts ability to create different surveys and lists for a variety of purposes. The ability to resend to people that have not opened it, tracking reports and design tools are great features. I do not like how some of the information in MindBody does not sync properly to Constant Contact. Sometimes last names are imported as first names and birthdays are not synched. There are not interest fields in MindBody that sync into Constant Contact in order to segment our marketing efforts. We use Constant Contact on a weekly basis. The email communication tools in MindBody are very simple and not focused on high quality visuals, so we utilize Constant Contact as a supplemental tool. We use it to keep our customers informed with monthly newsletters and deals, promote upcoming events and distribute surveys with promotional codes to first time clients. The formatting process keeps getting easier and easier. The results are visually appealing and adaptable to many platforms, from PC to small devices. There is great flexibility in setting up blocks of information, images and documents are easy to upload. It's much easier to move blocks around, and there are more options for formatting. Some of the formatting functions are still fall a little short, but the process has been improving steadily over the past couple of years, so I'm hopeful it will continue to be streamlined. One quirk in particular with the newest templates is newly uploaded images don't always appear; at least once per session I have to refresh the page for everything to appear. It would also be a great time saver for documents to appear in some particular order. As it is, a document can upload at the beginning of the list, in the middle, or at the end. The logic isn't clear, so I often spend more time than I would like looking for a document I just uploaded so I can link it to my message. It's very easy for us to communicate with our church congregation from a simple reminder message to a more longer weekly message that includes several links to various documents and websites. "Industry standard platform with great service "
Constant Contact is an industry standard. Like how it allows us to connect with our website to allow prospects to join our mailing list as well as the text to join capabilities. New drag and drop template design is easier to work with. Really appreciate having the online LiveChat customer service. I've used that a lot and it has been extremely helpful in troubleshooting last minute technical issues I've had with eblasts. • Easier tracking of images. If use a lot of images in designs it can be hard to find the image you want. Can't see full image name and thumbnail of pix are small so hard to see which one you're choosing. • Better understanding of the bounces. Many come up as suspended, but no real understanding or reasoning for this given. • Better click tracking reports. Seems like with the newer templates this has changed. connecting with customers and prospects. "Good Email Mktg Tool but you pay the price"
I like the ease of use and assortment of templates. Regularly making improvements. Comparing to other email marketing tools it is pricier and they tend to up charge when adding on additional features. Have issues sometimes with placement of images in some of the article blocks. Constant contact is continuous evolving in a positive way however some of the improvements require additional fees. I feel Constant Contact is a great service but many options provided may be found through less expensive services. Research by taking advantage of 30 day trails may help in determining if the expense is worth it. As a small business the email marketing has been an effective tool to inform our clients of upcoming events and products available. We have realized resulting sales from posted information and attendance from posted events. I really like the different templates and the easy way you can develop and form your own corporate style. This is an incredibly easy and intuitive platform to use. You can work on several projects at a time an it is easy to find each and work between them. Could have an easier way to switch between drafts and sent files but that is really a minor issue. Overall, a very functional system and very easy to use. This is the best mail program.....why go anywhere else. It was purchased as a way to grow our club membership. We are very successfully growing the membership of our club by using tactical email blasts to local organizations. The response rate to our outreach has been better than i expected. The protection of my domain name and the reputation of a trusted service. I am also familiar with the product as I used it 10 years ago. Obviously it is a good viable way to communicate via internet access as it has passed all laws. The double opt in is one of my favorite features. I don't want to be considered a spam communicator. Wish they offered a Text drop service to the same contacts. If the system automatically upgrades to the next program if you exceed the contact number threshold, it should also work in reverse, meaning if my contacts list falls below a certain amount, it should automatically downgrade your plan. Maybe offer a way to Text drop or voice mail drop the same contacts . I don't really have any other suggestions but this thing will not get me away from it unless I fill it with unneeded and unnecessary fluff, I do not understand why you force more than just my opinion. I am not looking like a "spammer" and if you want to stop, just opt out! It has an awesome news letter builder so now I can just give information without have to always seem like I need a reason for contacting them. They can also get helpful information from me which means I can build rapport and trust. Hopefully it will generate referrals sales. * We monitor all Constant Contact reviews to prevent fraudulent reviews and keep review quality high. We do not post reviews by company employees or direct competitors. Validated reviews require the user to submit a screenshot of the product containing their user ID, in order to verify a user is an actual user of the product. Hi there! Are you looking to implement a solution like Constant Contact?